It’s the sight of hundreds of ‘counsellors’ joining those new believers one-on-one in heartfelt prayer. And it’s the feeling of unity as denominational barriers come down, and thousands of Christians citywide gather for the cause of spreading Jesus’ love. 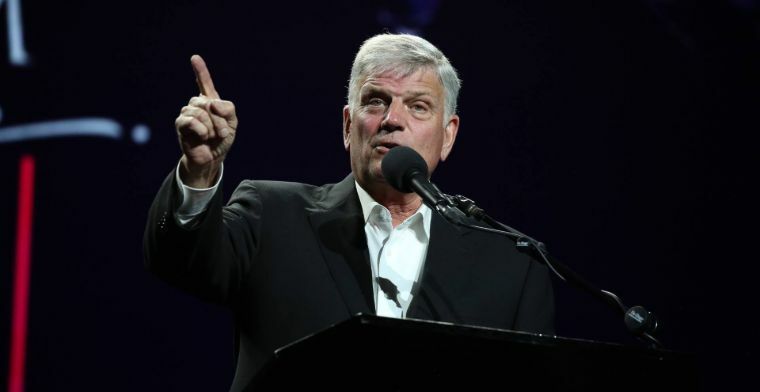 This is the magic of a ‘Graham Tour’ – and it’s been the experience of more than 59,000 Australians this past fortnight, as Franklin Graham, son of the late Billy Graham, toured our capital cities sharing the gospel message. 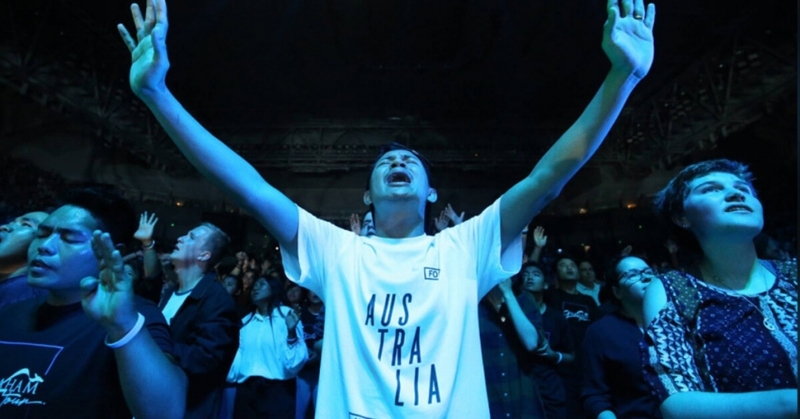 As thousands gathered at Sydney’s International Convention Centre for the tour’s closing nights, the end of the tour saw a total of more than 2,500 people make decisions to follow Christ. Above: Crowds gather in Brisbane. Image: Facebook/ Franklin Graham. Franklin’s Australia visit began February 9 with more than 13,000 people gathering in Perth – the biggest crowd of the tour – followed by Darwin’s rally on Valentine’s Day (February 14) drawing around 3,000 people together. More than 9,000 people filled Melbourne Arena to capacity on February 16, with around 400 people stepping forward to pray and accept Jesus. It was a historic moment for Melbourne, as it was 60 years after Franklin’s father Billy preached across the road at the Melbourne Cricket Ground in 1959. His campaign in Melbourne back then was so impacting that he continued preaching there for a total of four weeks. 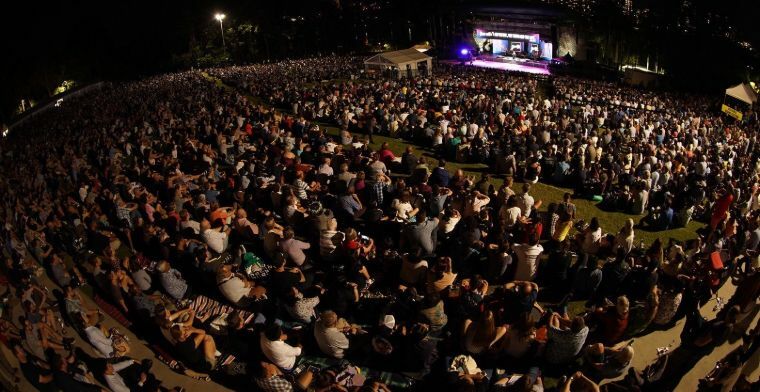 In Brisbane on February 18 more than 8,700 people flocked to the Riverstage outdoor venue, with hundreds responding to Franklin’s invitation to follow Jesus. 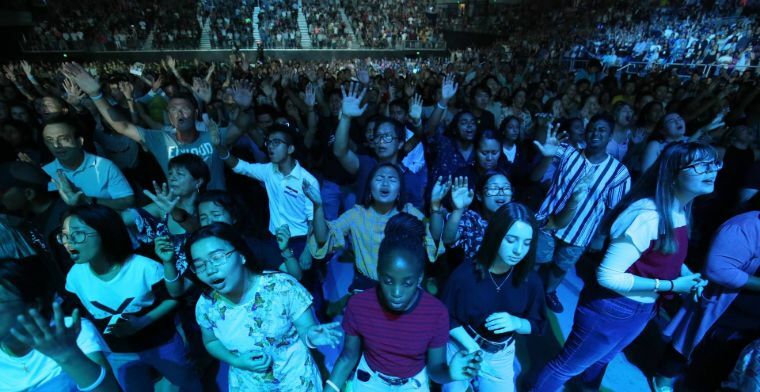 Above: Young people worship God at the Graham tour event in Melbourne. Image: Facebook/ Franklin Graham. On February 20, around 9,600 people gathered at Adelaide Arena to hear the evangelist, as he shared the story of Jesus teaching Nicodemus what it means to be “born again.” Hundreds were seated in an outdoor overflow area as the stadium was filled beyond capacity. Worship artists included Steve Grace, Planetshakers and Crowder Music. 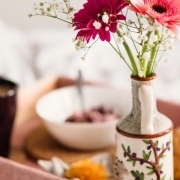 Believers from than 150 churches and 25 denominations worked together to prepare for that event, which overlapped with the Adelaide Fringe festival. And in a sign of unity that isn’t always seen at large Christian events in Australia, the Catholic churches of Adelaide also supported the night and encouraged people to attend. In the city known as the ‘City of Churches’, 400 people came forward to say a prayer accepting Jesus into their lives. It was exactly one day shy of a year since Billy Graham passed away. And on February 23 – 24, more than 8,000 people gathered for the final part of the tour at Sydney’s International Convention Centre with another 3,000 who watched the event live online. 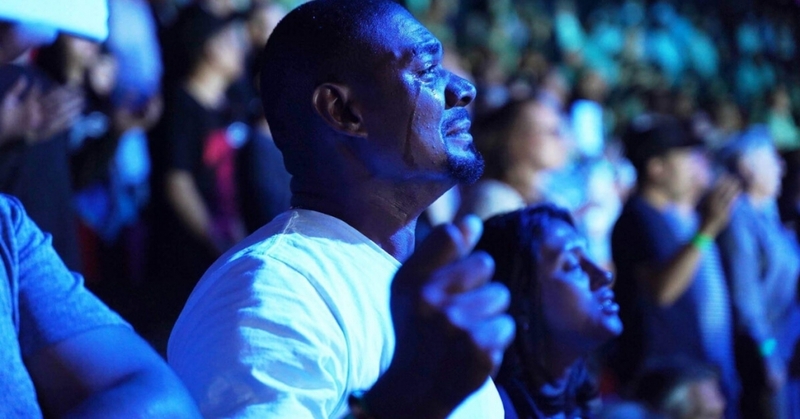 Above: A man in tears at the Graham tour event in Sydney Image: Facebook/ Franklin Graham. Above: Young men respond to the invitation to prayer, at Adelaide Arena. Image: Decision Magazine. Meanwhile, as Franklin has toured Australia this month, his son Will Graham – also a travelling evangelist in his father’s and grandfather’s footsteps – was conducting a similar, nine-day tour in the Philippines, drawing around 100,000 people. But it’s not only in stadiums and arenas that people make decisions to follow God. Meetings held during a Billy Graham Evangelistic Association tour are live-streamed online, and it’s not unusual during any one event, for hundreds of people around the world to respond to the invitation to accept God’s love. 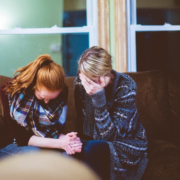 Those who indicate they’ve made a step towards faith in Jesus, can then have questions answered via online chat and email, and will receive discipleship materials for deepening their faith. The use of every bit of technology available is standard practice for the Grahams. When Billy Graham was touring the world as an evangelist he was renowned for leveraging television and the media, and using the most up-to-date technology available as the decades progressed, to spread his message far and wide. Above: Franklin Graham speaking in Adelaide this week. Image: Facebook/ Franklin Graham. In 1959 during his Australia tour, according to the BGEA more than 140,000 people made decisions to follow Christ during his meetings. 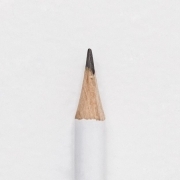 It’s a remarkable figure, representing almost two percent of the Australian population at the time. Fifty percent the nation’s population is believed to have heard his message during that tour, including those who tuned in via television and radio. Christian historian Stuart Piggin delved into Australian Bureau of Statistics figures, to show that Australia experienced a drop in alcohol consumption, extra-marital births and crime statistics around the time of that tour. In the years following 1959 Australia also saw an increase in Bible sales and Bible college enrolments, writes Karl Faase.